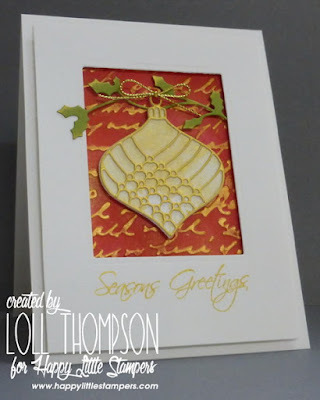 I'm joining in the fun event over at Debby's blog. 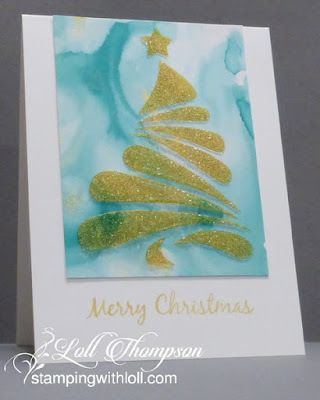 She is again posting her five favourite Christmas cards she made this year, and is asking others to share their favourite cards as well. The event is open until Jan. 5th, so there's lots of time to play along. To me, a few of them may be CAS as well (except for the Deck the Halls card). The lines are getting blurrier and blurrier for me to distinguish these days. :) CAS is supposed to be one main focal point, and all my cards have two ... so maybe they aren't CAS after all. What do you think?? These are all beautiful, Loll! I would have had a hard time choosing just 5 of your cards as favorites! They may not all be CAS, but they are clean and crisp. I hope you had a wonderful Christmas and are enjoying some relaxing time now. I have NO idea how you pick 5!!! I've YET to see one of your cards that I didn't think was freaking FANTASTIC! As to CAS, I'm a loser. For the life of me, I can't seem to get the hang of it. But, to me, even if you have 3 or 4 mediums, what matters is when I glance at your card, I see everything working together as ONE element. If my eyes are jumping around, I don't get the feeling something is CAS. Thanks for sharing all your work, Loll...you are amazing! Beautiful cards, Loll! I couldn't even begin my faves of your cards. These are all beautiful cards! I would not be able to pick a favorite! Beautiful Loll! 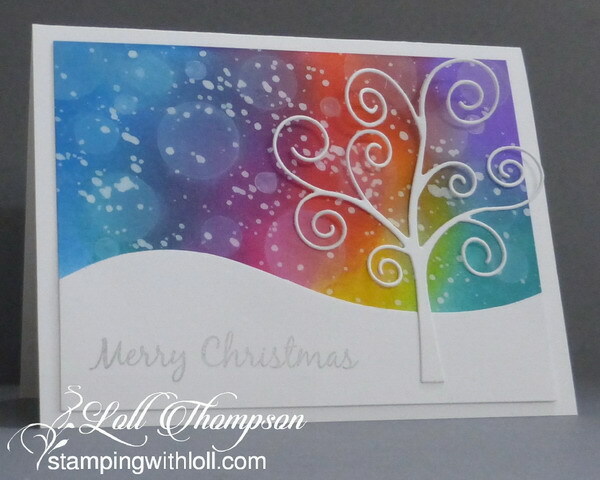 Happy stamping 2016 to you! Oh Loll, how on earth can you choose 5 favourite Christmas cards out of all your beautiful cards??? But you've done a pretty good job and I adore the deer and the rainbow cards. No point in asking me if they are CAS I can never work it out myself. What they are is perfect, wonderful cards. Not possible to pick five faves from all your beauties this year, Loll! *smile* I love that there are so many mixed media cards here! Hugs and Happy New Year! These are all such beauties, Loll! I think my faves are the Deck the Halls and Snowy night, but they are all fabulous. Thanks also for the update on Christopher - so glad they are hopeful - such good news!! Happy New Year, friend! Happy New Year to you! I look forward to seeing what you create next year. 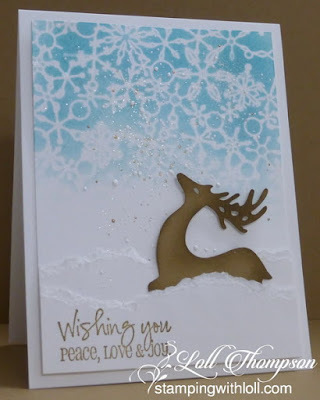 FYI love the deer in the snow! Makes me smile. These are all lovely, Loll, but you have so many more lovely cards that I don't know how I'd pick 5 if I had to. Everything you do inspires me. OH.EM.GEE!!! I can see why these are your faves. While these are all beautiful, my favorites of these are DEFINITELY Snowy Winter Night and Rainbow Snowy Sky -- just absolutely to die for! I'm not sure how you narrowed down your stunning gallery to *only* 5 cards, but...the selection truly is stupendous! 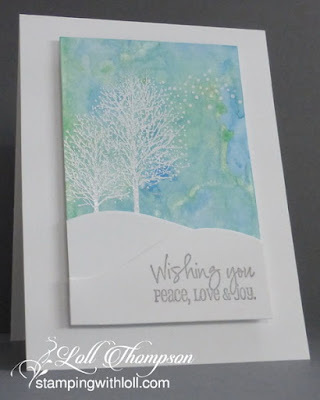 You and Mixed Media: perfect match! Love these!